Welcome to the Freeola Internet customer support pages. 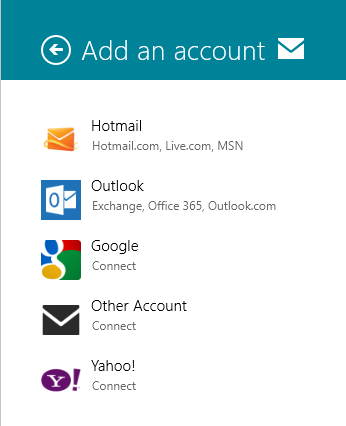 This guide is designed to help with setting up a Freeola email address﻿ on the Mail app for Windows 8 and 8.1﻿. For more internet help topics please visit our main Support Page. 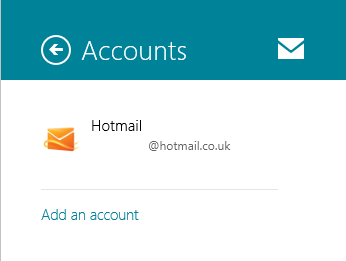 The Windows 8 and 8.1﻿ Mail app doesn't support POP3 access to your email address. 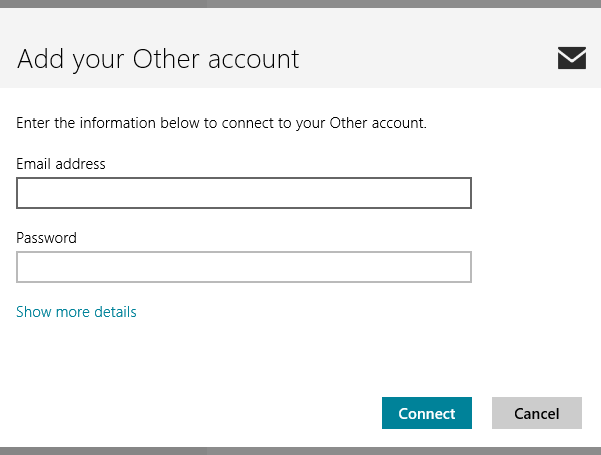 If you would like to set your email address up in this program, you will need to ensure that you have your email address set to use IMAP from within your MyFreeola control panel. 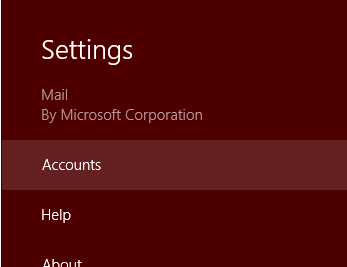 Load the Mail program in Window 8 by clicking the bottom left of your screen, then clicking the Mail icon in the start screen that displays. Hover the mouse cursor in the bottom right-hand corner of the screen. After a moment, this will bring up a menu bar﻿. From the menu click settings. The menu should then widen and offer further options. From the options provided click Accounts. Click Add an account to continue. From the account types select Other Account. You will then be prompted for your email address and password. Click Show more details to be given the option of entering more specific server information. Email address: Your email address, in full. Password: Your email password as was listed in your MyFreeola account. Incoming (IMAP) email server: yourdomainname.freeolamail.net where 'yourdomainname' is your domain name with any dots ( . ) replaced with hyphens ( - )﻿.﻿﻿ For example if your domain name was freeola.co.uk, the incoming mail server would be freeola-co-uk.freeolamail.net. 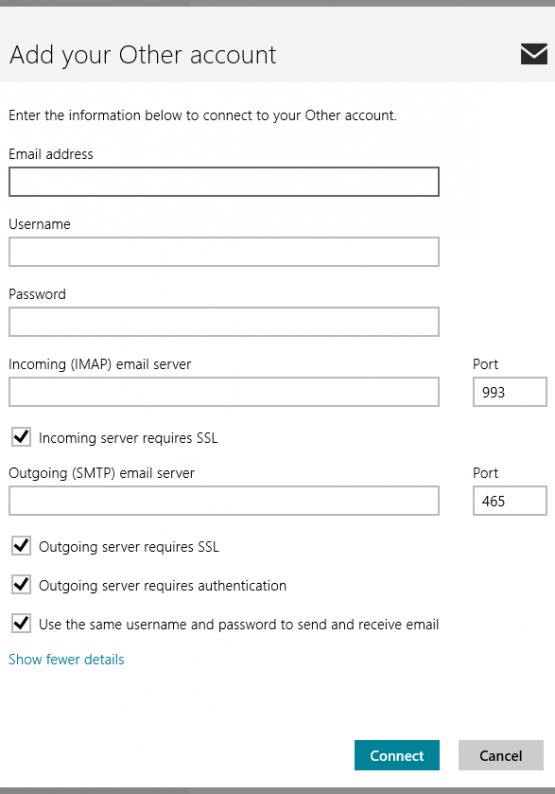 Outgoing (SMTP) email server: smtp.freeolamail.net. Please Note: This Outgoing/SMTP server is only accessible if you are subscribed to our EmailPro or One Address services or are using a Freeola Internet connection.